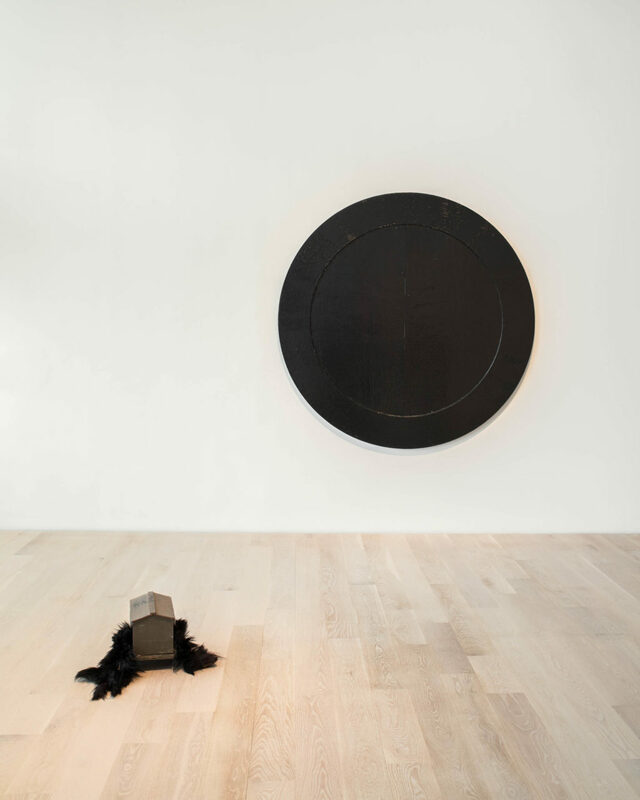 “Terry Adkins: Infinity is Always Less Than One” is a major thematic survey highlighting the artist’s crucial contributions to the medium of sculpture and cultural protest, featuring major installations that have not been viewed in decades. 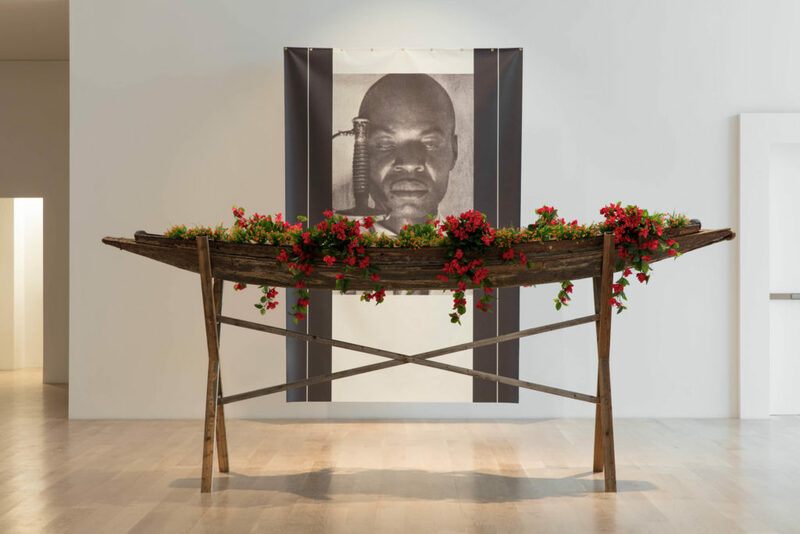 One of the great conceptual artists of the 21st century, Terry Adkins was renowned for his pioneering work across mediums, which were often inspired by or refer to significant black cultural figures who have been under-represented throughout history. 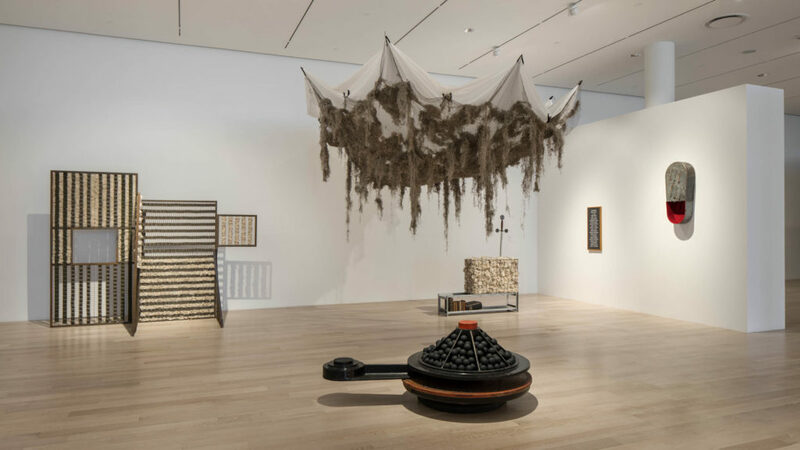 The exhibition explores significant periods and influences in the artist’s career, beginning with transitional hand-wrought sculptures and continuing with his major immersive installations. 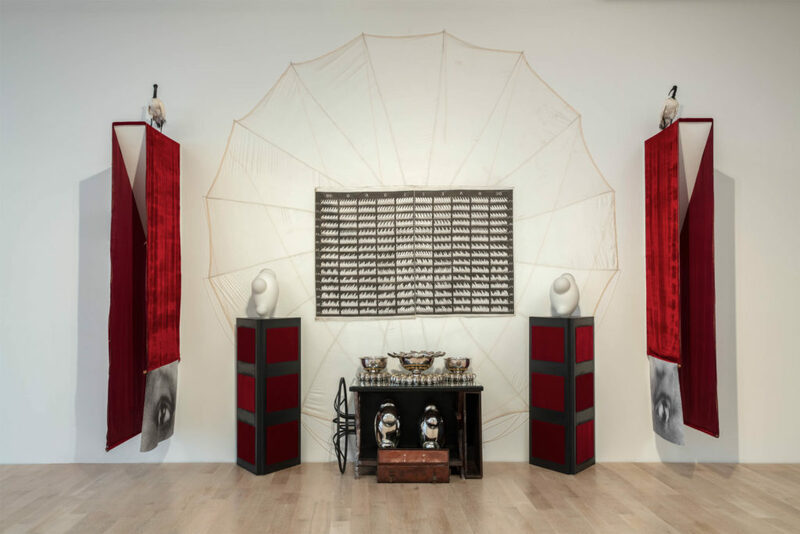 Known for his deep engagement with the collective rituals of musical performance and “abstract portraits” of African American luminaries who have often been relegated to the historical margins and erasure, Terry Adkins (b. 1953, Washington, D.C.; d. 2014, New York) was a New York-based artist and musician. His works span across multiple media, including sculpture, drawing, site-specific installation, photography, video, and performance. 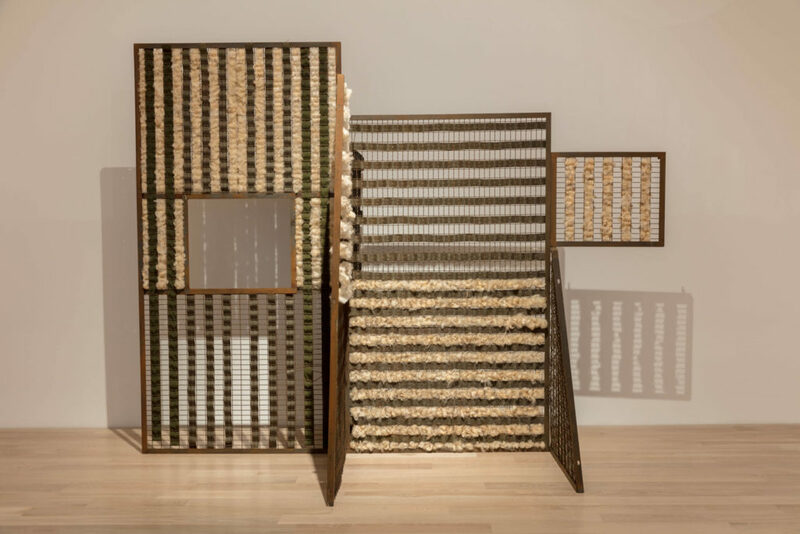 His often elegiac and always resonant objects, which are the focus of this exhibition, challenge dominant historical narratives, and set us to think of ways of being and moving in the world that rely on deep and long views of displacement and the sociability and community that happen despite it. These objects, deftly assembled, remind us, too, of the immaterial legacies that are passed on through ritual and sound. “Terry Adkins: Infinity Is Always Less Than One” is organized by ICA Miami and curated by Alex Gartenfeld, Artistic Director, and Gean Moreno, Curator of Programs. "Terry Adkins: Infinity Is Always Less Than One" is funded through the Knight Contemporary Art Fund at The Miami Foundation. Major support is provided by The Andy Warhol Foundation for the Visual Arts and the Henry Luce Foundation. Additional support is provided by the Dr. Kira and Mr. Neil Flanzraich Fund for Curatorial Research at ICA Miami, and the Miami-Dade County Department of Cultural Affairs and the Cultural Affairs Council, the Miami-Dade County Mayor and Board of County Commissioners. Special thanks to ICA Miami’s exhibition hotel sponsor InterContinental Miami. 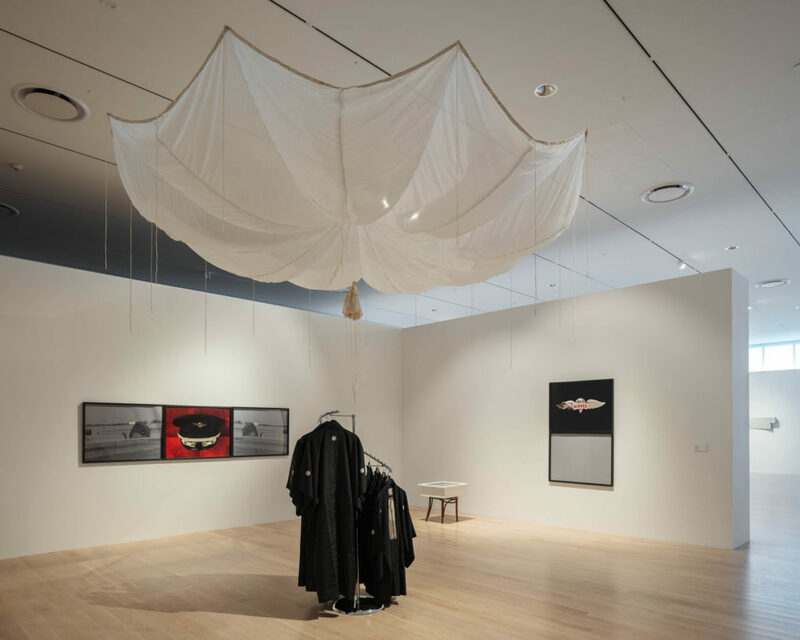 Installation view: "Terry Adkins: Infinity Is Always Less Than One" at Institute of Contemporary Art, Miami. May 17 – Sept 23, 2018. Photo: Fredrik Nilsen Studio.